(2005). Decolorization of Distillery Wastewater by UV irradiated spores of Aspergillus fumigatus. Iranian Journal of Chemical Engineering(IJChE), 2(2), 49-55.
. "Decolorization of Distillery Wastewater by UV irradiated spores of Aspergillus fumigatus". Iranian Journal of Chemical Engineering(IJChE), 2, 2, 2005, 49-55. (2005). 'Decolorization of Distillery Wastewater by UV irradiated spores of Aspergillus fumigatus', Iranian Journal of Chemical Engineering(IJChE), 2(2), pp. 49-55. Decolorization of Distillery Wastewater by UV irradiated spores of Aspergillus fumigatus. 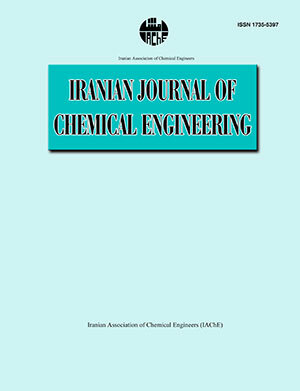 Iranian Journal of Chemical Engineering(IJChE), 2005; 2(2): 49-55. An efficient microbial technique for decolorizing distillery wastewater was achieved using irradiated spores of Aspergillus fumigatus. The fungus was isolated from soil samples taken from the local distillery processing unit. By using the irradiated spores, wastewater decolorization increased by 14.3% as compared to that of the control treatment (68.8% vs. 54.5%). In the presence of sodium nitrate and maltose, as optimum sources of nitrogen and carbon, in the microbe's growth medium, the decolorization rose to 70%.